This is a surprise. The tree is often grown and it is no trick to acquire some. Yet to date it has been used to facilitate cognition as individuals become older. Obviously an extract will be a superior method of using the leaf. It is difficult to consume on its own. This work does not provide an indication of the level of improvement which tells us it is not an actual cure. It also does not inform us regarding the level of sugar in the diet and whether that had been normalized before the application. many victims are actually dealing with a sugar reaction whose simple removal is a cure. I would like to see a cohort whose sugar intake is controlled first before this protocol is tested..
Ginkgo biloba has been reputed as an aid to brain health and neurological conditions for centuries by traditional doctors. Ginkgo’s usefulness for children with attention deficit/hyperactivity disorder has now been confirmed by a clinical study from Germany. This is supported by previous research showing Ginkgo’s effects on cognition among the elderly. The ADHD research comes from the University of Tübingen’s Center for Medicine, Society and Prevention. Researchers tested a Ginkgo biloba extract called EGb761 on 20 children diagnosed with ADHD in an open clinical protocol. The children were given the Ginkgo extract for three to five weeks at a dosage of up to 240 milligrams. This maximum dosage was given to those children who did not have immediate effective responses to a lower dose over the initial period of three weeks. The researchers utilized clinical assessments to rate the improvement in symptoms along with the Continuous Performance Test (Cue-CNV in the CPT) that tested the brain’s electrical activity among the children. The researchers also assessed the children with quality of life testing and the Side Effect Rating Scale. Contingent negative variation (CNV) testing utilizes magnetoencephalography (MEG) to measure the amplitudes of brain waves that correspond to attention and stimuli. These waves are thought to originate from the premotor cortex. 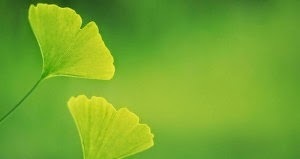 The researchers found that the Ginkgo extract improved ADHD symptoms among the children. This improvement corresponded with improved CNV results. This same Ginkgo extract, EGb761 was studied a decade ago at Virginia’s Liberty University. Here the researchers tested 262 elderly persons aged 60 or older who scored at least 26 on the Mini-Mental State Exam. For six weeks, half of the group was given 180 milligrams per day of the Ginkgo extract and the other half was given a placebo. Other studies since this have found similar results, specific to this same Ginkgo extract, EBg761. From other research it appears the mechanisms of Ginkgo are related to its blocking of the monoamine oxidase enzyme, involved in dopamine production – making it a MAO inhibitor. Ginkgo also appears to neutralize neuron-damaging free radicals. The blocking of monoamine-oxidase slows MPP+ (1-methyl-4-phenylpyridine) and inhibits 6-hydroxydopamine. Ginkgo is an ancient plant species, and the Ginkgo tree has a long history of medicinal use. Extracts are typically derived from the leaves, but the seeds have also been cooked and used as food in some traditional diets. The Ginkgo trees of Hiroshima were one of the few tree species to survive the nuclear blast. Uebel-von Sandersleben H, Rothenberger A, Albrecht B, Rothenberger LG, Klement S, Bock N. Ginkgo biloba Extract EGb 761® in Children with ADHD. Z Kinder Jugendpsychiatr Psychother. 2014 Sep;42(5):337-47. doi: 10.1024/1422-4917/a000309. Hultin L, Rossini P, Romani GL, Högstedt P, Tecchio F, Pizzella V. Neuromagnetic localization of the late component of the contingent negative variation. Electroencephalogr Clin Neurophysiol. 1996 Jun;98(6):435-48. Tanaka K, Galduróz RF, Gobbi LT, Galduróz JC. Ginkgo biloba extract in an animal model of Parkinson’s disease: a systematic review. Curr Neuropharmacol. 2013 Jul;11(4):430-5. doi: 10.2174/1570159X11311040006.